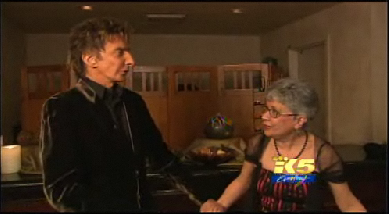 My Aunt Judith entered a contest held by Seattle's KING 5 television station to find the ultimate Barry Manilow fan--and won! Her daughter, Laura, has a great write up of the Barry Manilow music history in her family. Judith is the Ultimate Fanilow. 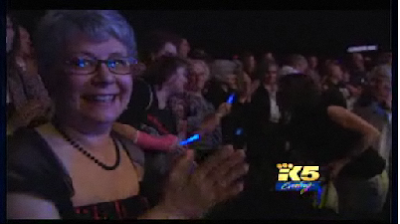 She won a trip to Las Vegas to see Barry in concert as well as meet him afterwards. A crew from the TV station went along to make a story to tell. It was on last night and it's online. Way to go, Judith! What The Deuce Is It To Me? Expired Jam, That's The Ticket! When Do You Speak Out?